Otto M. Marx, a distinguished and influential historian of psychiatry and medicine, died on August 30, 2012, in Townshend, Vermont. Marx was born in Heidelberg, but he graduated from the University of California, Berkeley, in 1953 and took his M.D. at the University of California, San Francisco, in 1957. He was one of the better educated psychiatrists of his generation, with an internship at Washington University Barnes Hospital, residency at Langley Porter Institute and Herrick Memorial Hospital, with further training in psychiatric administration in Berkeley and then in psychotherapy at the University of Zürich. In 1964-1966, he was a Research Fellow in the History of Psychiatry at the Institute of Medical History at the University of Zürich, followed by a research fellowship at the Johns Hopkins Institute of the History of Medicine. Beginning with a paper in the American Journal of Psychiatry in 1965, Marx produced a series of major articles on the history of eighteenth- and nineteenth-century psychiatry in Germany and the Anglophone countries, especially contributing to the English-language literature on the history of German psychiatry. These publications were capped by his landmark revisionist article of 1972, in which he brought a new understanding to the fundamental work of Wilhelm Griesinger in German psychiatry. Meanwhile, Marx was a busy practicing psychiatrist and teacher, with many prestigious appointments In Zürich, then the Boston area and, later, back in California. In 1985, he returned to the New England area. There was, however, an interlude in 1990-1992, when he became acting chair and then visiting professor in the Institut für Geschichte der Medizin der Ruprechtkarls-Universität in his birthplace, Heidelberg. At this same time, he resumed active publishing in the history of psychiatry and medicine, this time paying special attention to the historiography of psychiatry. 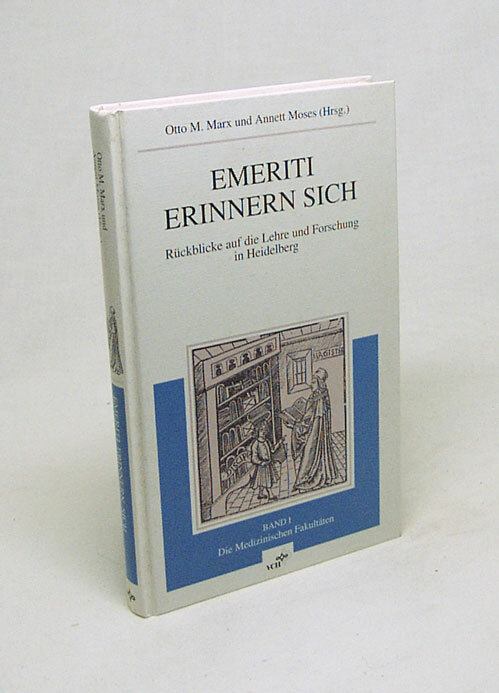 In 1993-1994, he published (with Annett Moses) two volumes on the history of the teaching and research in medicine and biology in Heidelberg, Emeriti erinnern sich: Rückblicke auf die Lehre und Forschung in Heidelberg. Otto Marx helped move the field of the history of psychiatry and medicine to include a dimension of social history. He will also be remembered for his informal critical influence within his generation of scholars. He not only reminded them of the influence of romantic and scientific thinking and institution building, but he showed them in action the high standards of a penetrating, restless intellect.